Take MRT red line to Jiantan Station. Exit Jiantan Station at exit 2. 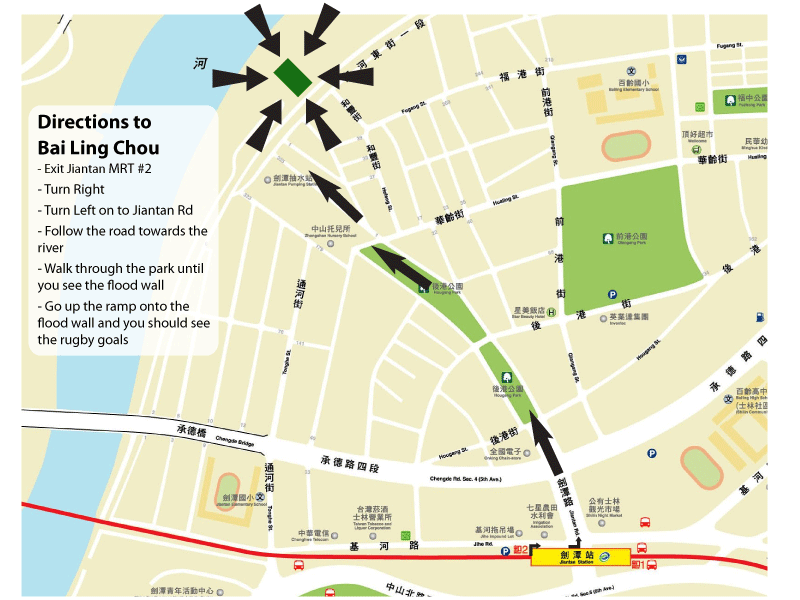 Take a right out of the exit and walk until you get to Jiantan Road. Turn left onto Jiantan Road. Follow the road and walk through the long park. At the end of the park you will come upon a market. Walk past the market towards the river wall. Follow the river wall to the right and go up the first set of stairs. At the top of the stairs take the road down to the right and you will see the rugby fields. We typically meet near the covered bleachers by the middle pitch.